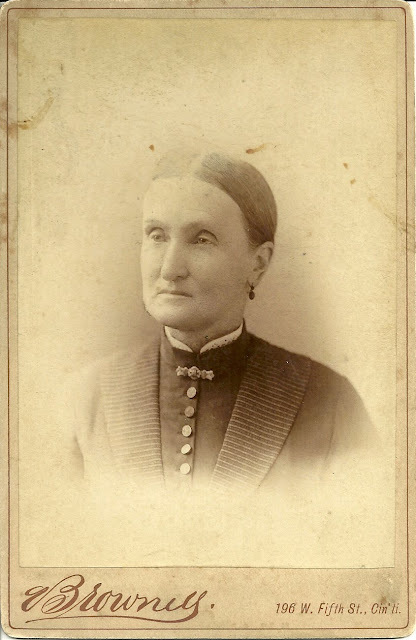 Cabinet photo of an older woman taken by Brownell (?) 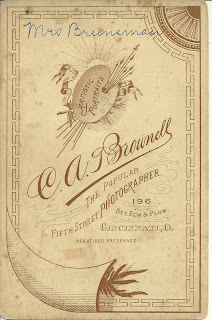 Studio, 196 W. Fifth Street, Cincinnati, Ohio. 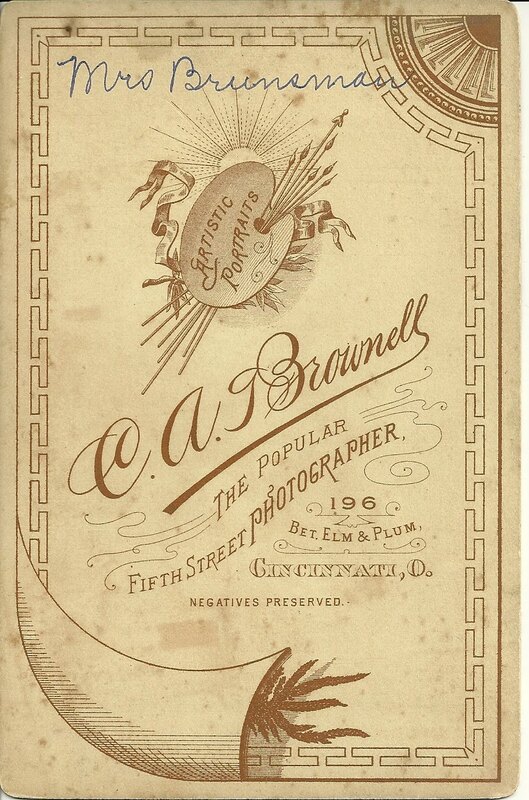 On reverse, she is identified only as Mrs. Brunsman. Searching online, I found several possible women, just in Cincinnati itself, let alone the surrounding area. If this lady looks familiar to you from your old family albums, and you know her forename and maiden name, please contact me.